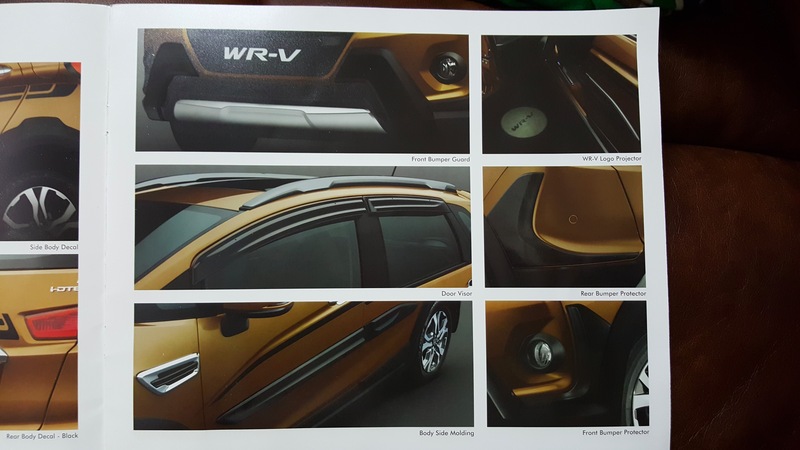 The earlier blog post discussed at length on the Honda WRV interiors and exteriors and the drive experience. If you missed it you can read it here. 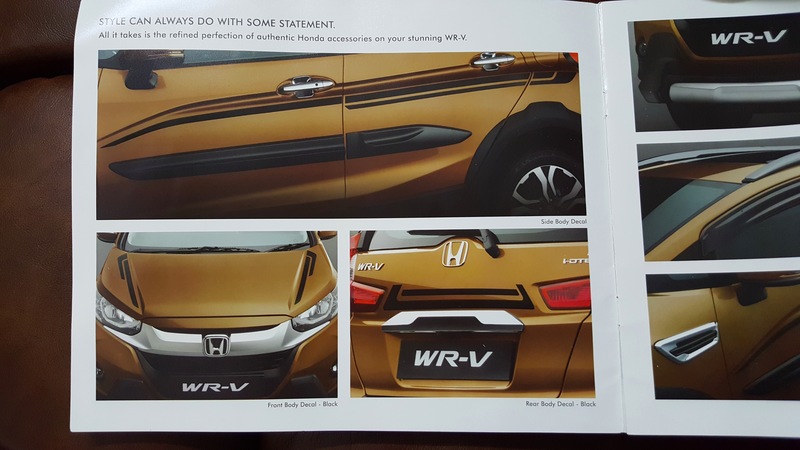 This post discusses the accessories that the WRV comes with and the different customization options provided by Honda to make your WRV ownership even more exciting. Side and front body decals make the car look even better than normal. The front bumper guard will protect the car’s underside from scratches and dents while the roof rails lend a SUV style appeal to the car. The logo projector is similar to puddle lamps in cars like XUV which help you to understand what you are stepping on at night. There is also a rear bumper protector which makes it useful. There are also body side molds which helps in congested places like mall parking lots to prevent people from banging their car doors against yours. 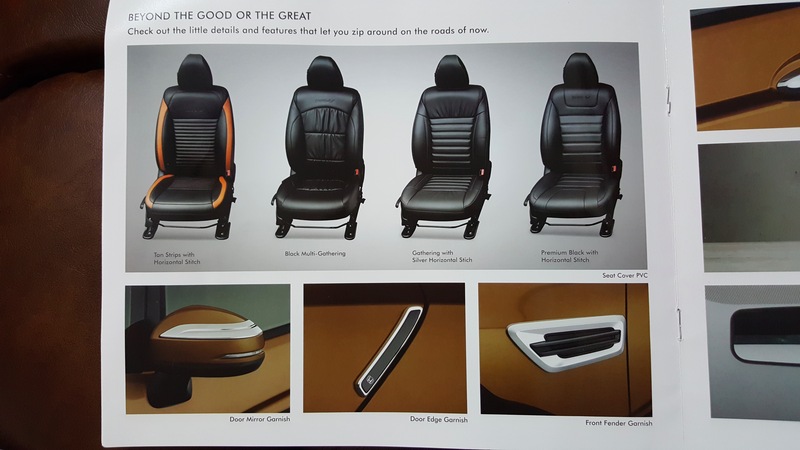 Some other stuff include seat covers of different types and garnishes all over the body at different places. 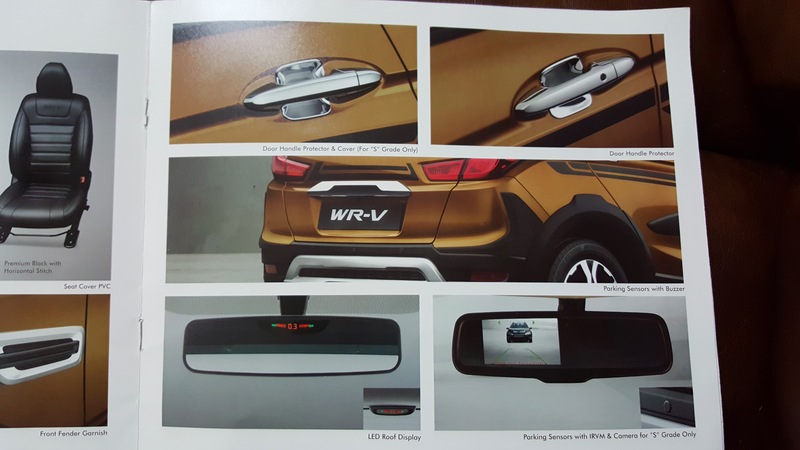 Nifty door handle protectors, parking sensors with buzzer and rear camera on rear view mirror means that you do not need a separate stereo system for the same. 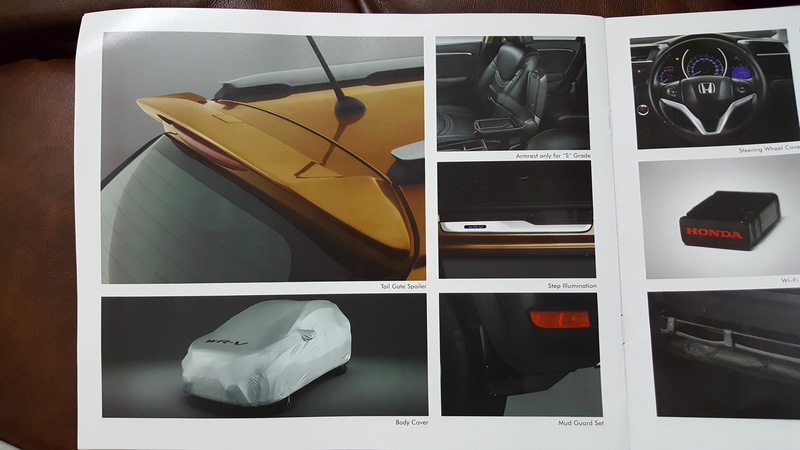 Honda also provides rear spoiler, front armrest, wifi device for car, steering wheel covers, different types of mats, and rear tray nets besides mud guards and car covers. 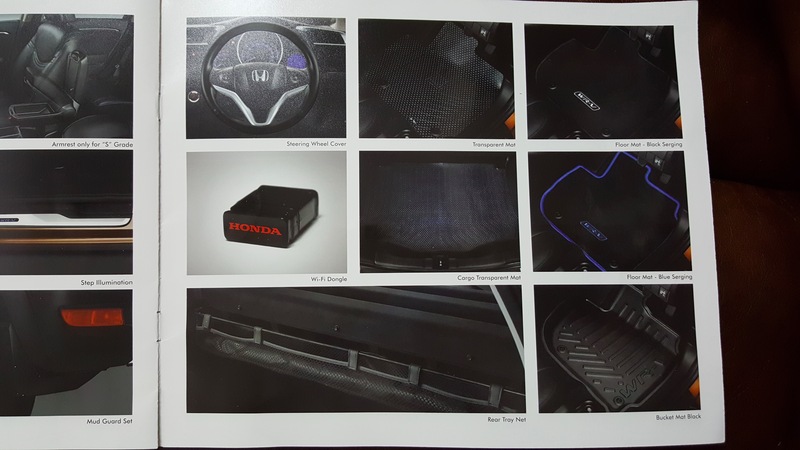 With this extensive accessory list, Honda sure has given lots of options for buyers to make their WRV more complete. Customers have sure been pampered with many options when they buy the WRV. So what are you waiting for - if you have the WRV - go ahead and indulge yourselves!